Actually, it’s not about Devaney at all. It’s about YOU!…and, over time it’s about us, together. Is there history there? You bet. We’re a family business who, since 1934, has been an industry leader in the products that we deliver, the equipment that we install, and the level of service that we provide. In fact, it’s what we’ve built our reputation on. But it’s about more than that. It’s about a partnership. One that results in a reduction in the amount of energy YOU use and an increase in the amount of money YOU save. It’s about providing YOU with the best, cleanest burning fuels. It’s about offering equipment that operates at only the highest level of efficiencies while maximizing the return on YOUR investment. And, it’s about providing a better world for future generations. It’s about YOUR experience as our customer. It’s about taking our over 80 years of experiences and learning from them so that we can provide solutions for every possible scenario. It’s about Devaney University, right here in our main office, the only one like it in the area. This is where we train, and retrain, our staff, again and again, to ensure we remain on the cutting edge of our industry and deliver the highest possible level of service to all of our customers. YOUR experience is OUR culture. It’s what we breathe and what drives everything we do. In short, Devaney is all about YOU, and we wouldn’t have it any other way. We’re a different sort of company and we hope that you will join us and experience the Devaney Difference. 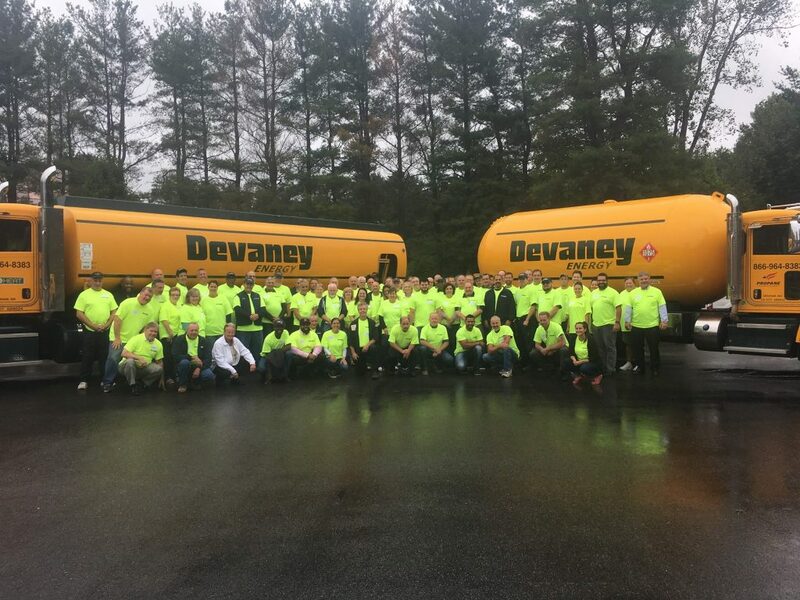 Interested in becoming part of the Devaney Energy Family of Customers? Since 1934, Devaney Energy has been the trusted leader in delivering residential and commercial energy solutions. Family-owned and operated, now in our fourth generation, we take pride in being leaders in our industry and the local communities we work in and serve. ©2019 Devaney Energy, Inc. All rights reserved.